It may not be a shoe-in for the most popular crowdfunding site, but it could gain traction for schools, churches and other cash-strapped organizations looking for creative ways to fundraise. The shoes themselves must be either new or gently used, and can be collected through mail or a central pickup location. Funds2Orgs pays the fundraiser for each donated pair. 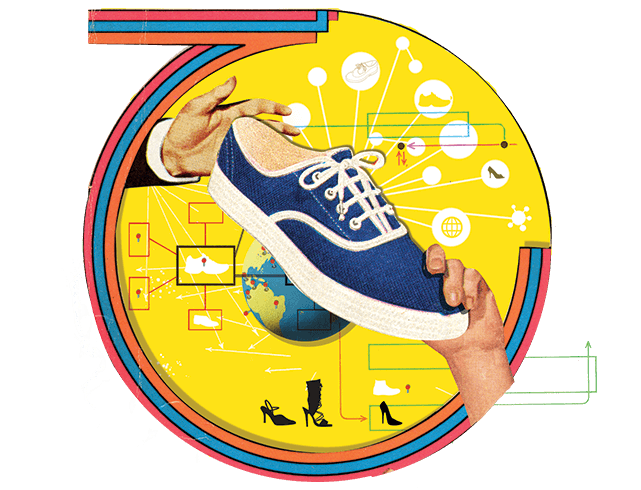 The Orlando-based company is betting that people are more likely to donate shoes than pull out their credit cards. “Now they can simply dig into their closet,” said Funds2Orgs founder and chief executive Wayne Elsey. Once Funds2Orgs receives the donated shoes, it sells them for a nominal fee to microenterprise entrepreneurs in developing countries, such as Haiti and Guatemala, where they are resold into local communities. 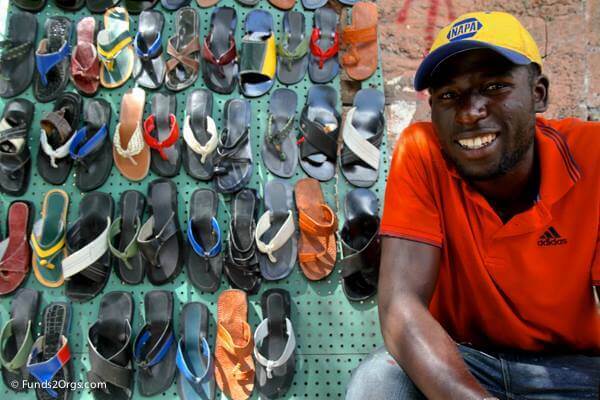 A Haitian man busy selling his Soles4Soles wares on the street. Elsey knows a thing or two about shoes. He’s worked at shoe companies his whole career, but decided 11 years ago – after seeing the image of a shoe washing to shore during TV coverage of the 2004 tsunami – that he’d dedicate his love of shoes to a social purpose. He founded Soles4Souls, a non-profit that ships shoes to disaster-struck regions of the developing world. Over the years, it has brought comfort to nearly 40 million feet. Funds2Orgs is an extension of those efforts, by empowering others to donate their own soles.